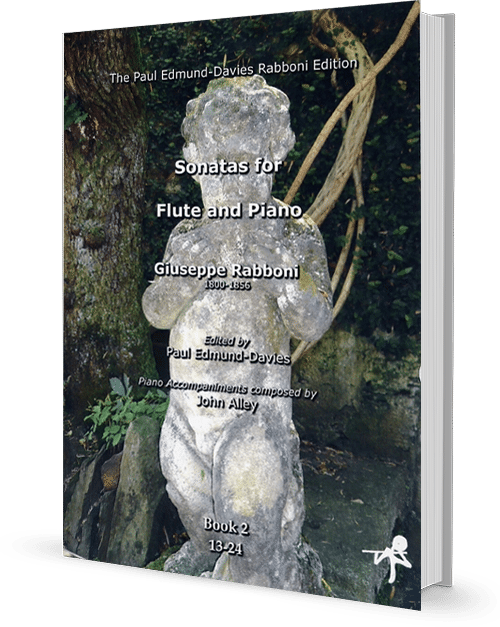 Many years ago, in a second-hand shop in Hungerford (UK), I discovered a tattered old book containing much of the flute music of Giuseppe Rabboni and was immediately fascinated as to why this music was no longer readily available. It transpired that his original publishers (Lucca Press) were taken over by Ricordi. 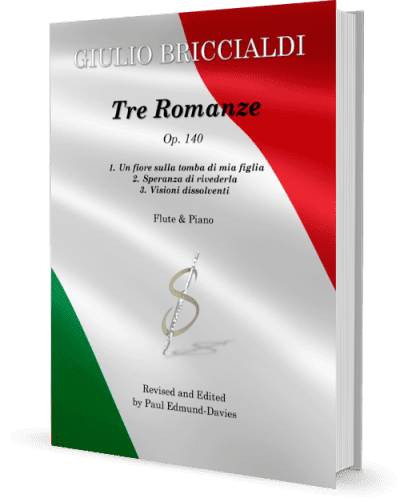 After a major fire at their main warehouse in Milan in the second world war, a vast quantity of music was destroyed, including some works by Rabboni. These Sonate are delightful musical ‘postcards’ reflecting the glorious world of Opera that existed in Italy, throughout the 19th Century.